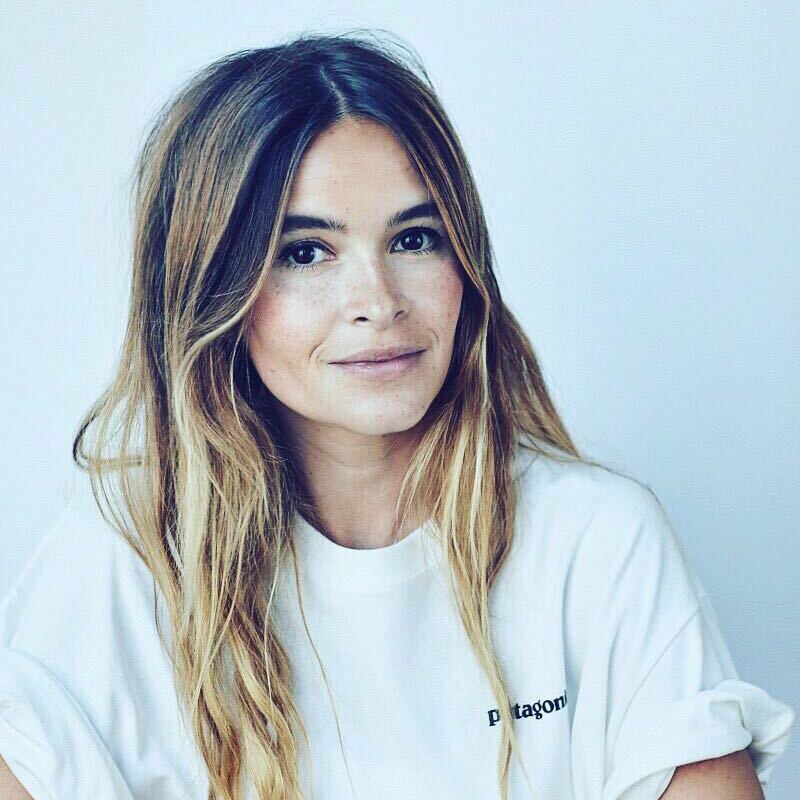 Ms. Miroslava Duma from Russia is an international street-style icon. A frequent front row guest at runway shows and the co-founder of Buro 24/7, a popular fashion and lifestyle digital media network, Ms Duma enjoys an Instagram following of more than 1.6 million. But that’s only one side of her. Being cited as ‘a force of the fashion industry’ by the Financial Times and as the ‘most connected digital entrepreneur in fashion’ by Vogue, Ms Duma is at the forefront of investing and promoting fashion technology and sustainable innovation. In 2017 she founded Future Tech Lab (FTL), an investment company and accelerator that helps new technologies and sustainable innovations connect, collaborate and create products and brands to evolve the fashion industry and help reduce its social and environmental footprint. We have recently had the opportunity to speak with Ms Duma with regards to her recent venture into fashion innovation. What inspired you to start FTL? Could you share with us some of the key moments / turning points in your life that developed your interests in fashion technology and sustainable fashion? What motivated me to make Future Tech Lab a reality was the realization that the $2.4T fashion industry was one of the world’s largest sources of pollution, second only to oil; nearly ten percent of global carbon emissions can be attributed to fashion! I have been passionate about fashion since forever so the realization was a big shock, which sparked the idea to launch FTL to help transform the fashion ecosystem into a technologically advanced, renewable, environmentally friendly and socially responsible industry. What are FTL’s key activities and how do these activities support delivering FTL’s mission? FTL bridges fashion and technology to help bring new fashion technology and sustainable innovation out of labs, studios and garages and into the hands of consumers. FTL is structured as a hybrid that combines an investment company, a multinational accelerator, and an experimental laboratory, all aimed at helping new technologies and sustainable innovations connect, collaborate, and create products and brands that evolve the industry and improve its social and environmental footprints. One of our first investments was US-based Diamond Foundry. 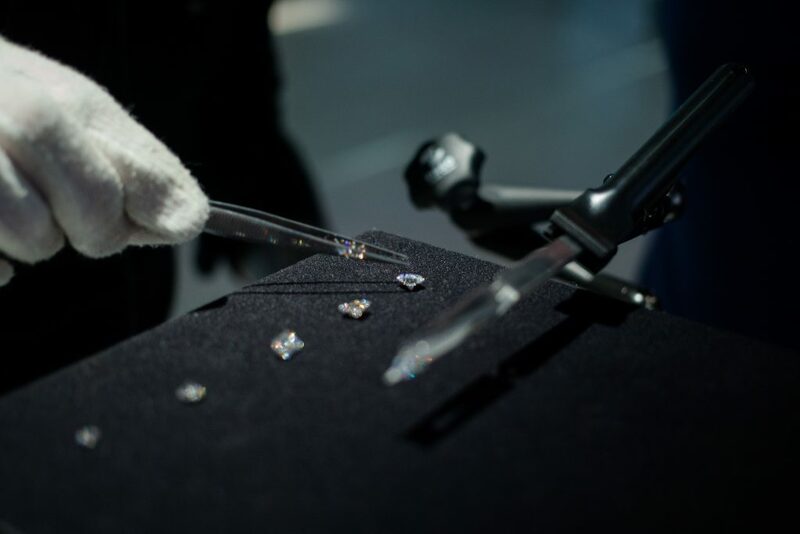 They are growing diamonds anatomically identical to those found naturally, using a technology that replicates the conditions in which nature forms diamonds. The world’s rough diamond supply is dwindling and will be at an all time low by 2030, not to mention the many ethical issues around the sourcing and supply chain. All the technology that we truly believe in and support is on display on our site. It is important for us that the society sees that we are making progress towards eco-consciousness and wide adoption of new technologies. 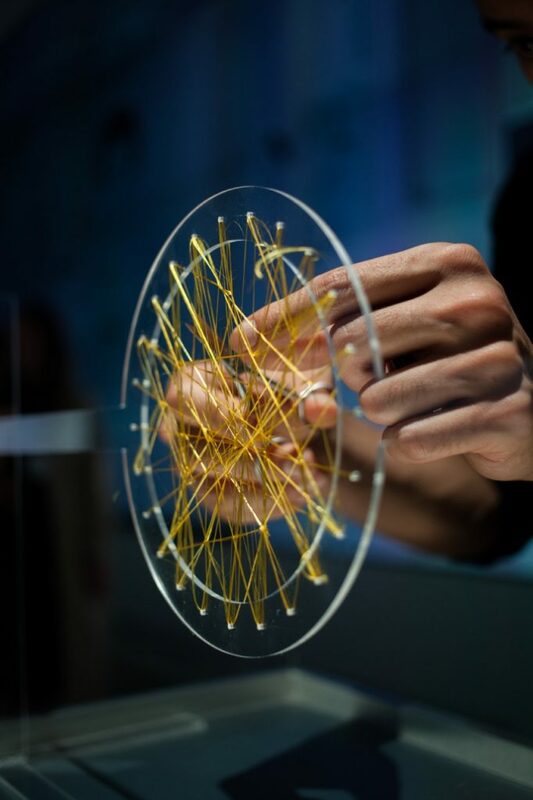 FTL also helps global fashion players connect with and integrate the work of engineers and scientists specializing in cutting edge technology across the fields of materials science, wearable electronics, high–performance fibers and fabrics, and other related innovations, into their product lines. 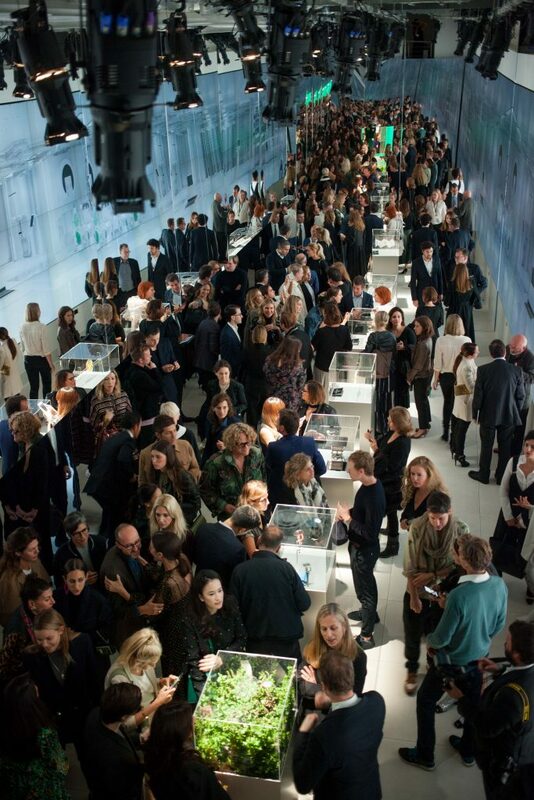 In your view, how will technology change fashion? I believe that the real progress is possible only with the help of technology. Just look at what Elon Musk has been doing with Tesla over the past few years, disrupting the renewable energy space and the way the automotive industry has worked so far. Same is with fashion. Technology is enabling scientists to create leather made from virtually everything – grapes, mushrooms, stem cells, potentially providing the fashion industry with ethical and sustainable alternatives to real leather. Technology helps to solve problems and to truly embrace innovation. What are the key challenges do you see in transferring technological innovation into real business applications in the fashion industry? The biggest challenge is to change the mindset of the industry. Some of the technologies and innovations have been around for tens of years, but used exclusively for research and government purposes, for military and aerospace industries. I am a strong believer that in the near future our clothes will replace our devices. Fashion is the only way to drive acceptance of wearable technologies. The more scientists and researchers I meet, the more I see talented and forward thinking people, who are now hoping to get their genius ideas to market and collaborate. If you are not sustainable and innovative, you are not considered a modern brand in the eyes of the end consumer, who has changed so much over the years to become almost ‘aggressively’ conscious. Fashion will have to become more and more sustainable in order to stay relevant. Could you share with us some of the projects / technological innovation that excited you the most? Bolt Threads – next generation of performance fibers, fabrics and luxury products that represent cutting-edge technology in science, while raising the bar for quality, performance and design. Evrnu – recycling technology which invented a regenerative fiber made from post-consumer cotton textile waste. We believe that these pioneering companies are among many others that have the potential to lead the transition of the fashion and apparel industry towards a more sustainable future by maximizing the positive impact of innovation in the fields of science and technology. The discovery of these very different start ups made me believe that our vision at Future Tech Lab is a reality and we just need to keep moving (actually running!) forward. What role do you see China plays in growing sustainable fashion? Following my recent trip to China, I was blown away by the amount of innovative and disruptive ideas being fostered in this country. Shenzhen can give Silicon Valley a run for its money; I am in love with the place. We are honestly considering China to become one of the first markets to release our latest products in the future. I am convinced that China is currently leading the convergence of technology and I cannot wait to see it integrate more with fashion, in the most positive and sustainable way possible. What’s the vision of Future Tech Lab in China? We see the huge potential of China becoming the biggest market for fashion and tech. Future Tech Lab aims to become a bridge between West and East for the fashion industry, opening more doors for Chinese designers and engineers internationally. We have many projects and ideas around that in the pipeline, involving investment activity and strategic collaboration with leading academic institutions, start-ups, innovative companies and local media partners. We advocate projects that sit at the intersection of fashion, sustainability and innovation. We strive to get the new technologies in China to cooperate with international brands. At the same time, the Chinese market should also be benefit from the latest technologies of eco-friendly and innovative materials. So we are working to partner with Chinese fashion groups to do that. How do you balance your various roles as an entrepreneur, an investor, a fashion KOL and a mother? The biggest challenge I have faced is time, we have only 24 hours and 7 days a week and often I get the feeling that it’s not enough. I am my own harshest critic; I always push myself to do better and more. The best way to manage everything is to prioritize and to mange your time. My day is scheduled to the minute: calls, meetings etc. But when I am home I try to spend time with my family because the kids are growing fast and I want to be there every step of the way. It’s essentially a very organised balancing act. How do you organize a multinational team across regions to work effectively? And when you recruit, what are your key qualities in people that you are looking? FTL Team is a group of people who are motivated, hungry for information and eager to make a change. Motivation is very important because we are a very international and digital-first group. Despite being spread across multiple geographical locations, we are incredibly well connected, flexible and excited to work to each other’s schedules. We are very lucky at Future Tech Lab to have a team full of incredibly talented, driven mega professionals who have the unique ability to think outside the box. The FTL team is one of our biggest assets!